Pudding is such an easy dessert to make – I wonder why we all buy shop-bought ones all the time!? Ok, making a custard sounds daunting to many people, but in fact nothing can go wrong if you stir all the time so not to let anything burn at the bottom. The rest is easy peasy! 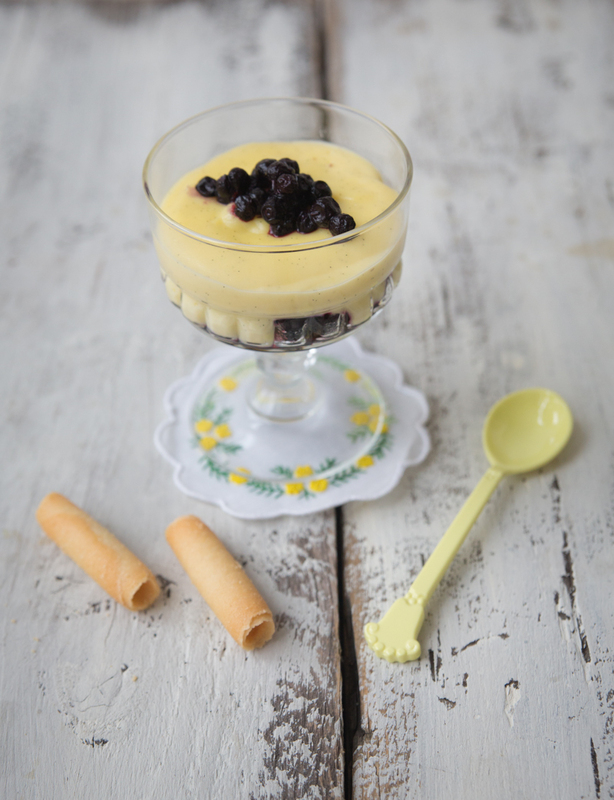 I’ve paired this simple vanilla pudding with blueberries – any other fruit will do of course, as does cookie brittle or chocolate chips! Put the egg yolks, sugar, vanilla sugar and cornflour into a bowl. Slice open the vanilla bean and put into a saucepan with the milk and the cream. Warm the liquid over a medium heat until nearly boiling. Remove the vanilla bean. Slowly pour the hot liquid into the egg mixture, whisking vigorously in order not to curdle the eggs. Pour back into the saucepan and put over a medium heat, stirring constantly, until it starts to thicken and covers the back of a spoon. Pour the custard into a small bowl and leave to cool. Divide the blueberries into eight dessert bowls and top them with the cooled pudding. Decorate with some more blueberries on top. 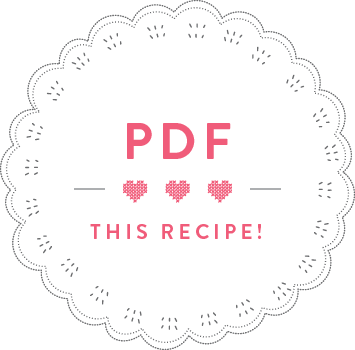 Tip: Make a pavlova with the leftover egg whites!